Evelyn Schreiber, an English professor, teaches the What’s New About New Plays? dean's seminar, in which students have the opportunity to attend shows at venues around D.C. Courses like University Writing and dean’s seminars offer a welcome alternative to introductory courses with hundreds of students and professors who will never learn your name. Your required University Writing course on the Mount Vernon Campus is a great way to improve your writing skills early on. If you’re enrolled in the Columbian College of Arts and Sciences, dean’s seminars offer small class sizes to help you get to know fellow students. For the fall semester, the writing department will offer 33 options for the mandatory freshman writing class and CCAS will teach 12 different dean’s seminars. Through the mandatory first-year writing course, you can do in-depth research and writing projects about a topic you didn’t get a chance to explore in high school. Randi Kristensen, an assistant professor of writing, is teaching Africa and the African Diaspora, a class that will deconstruct Western perspectives of the African continent in a contemporary light. Some courses offer a way to study something you interact with every day, but not through an academic lens. Please Like Us: Selling with Social Media is a course that analyzes personal and corporate branding strategies found on platforms like Snapchat, used deftly by social media influencers like the Kardashian dynasty. Throughout the semester, you will conduct your own research on how social media is used to promote a company or individual of your choice, erasing the guilt of scrolling through Instagram to procrastinate. Most UW classes align with a certain major or department, allowing students to learn in depth about a topic related to their area of study while improving writing skills. If you are a political communication or public health major, consider courses like Faking Democracy, a class about the role of the news media in democracy, or Writing Science and Health: Women’s Health as Point of Inquiry, which focuses on interrogating cultural and political norms that affect women’s health. Although UW courses tend to focus on topics in the liberal arts, STEM students can explore options like Communicating Climate Change or American Environmental Advocacy, which apply science concepts like climate change to writing and literature. If the prospect of being packed into a giant lecture hall leaves you feeling stressed, CCAS students can find solace in smaller dean’s seminars where you’ll add variety to your schedule and form closer bonds with professors. As with UWs, dean’s seminars can point you to eye-opening facts in areas you never thought about academically, as is the case with Hollywood and Politics. The class explores the film industry’s American political connections, analyzes some successful celebrity politicians and deconstructs how these two groups have begun to converge. Other seminars will take you out of the classroom and away from campus. 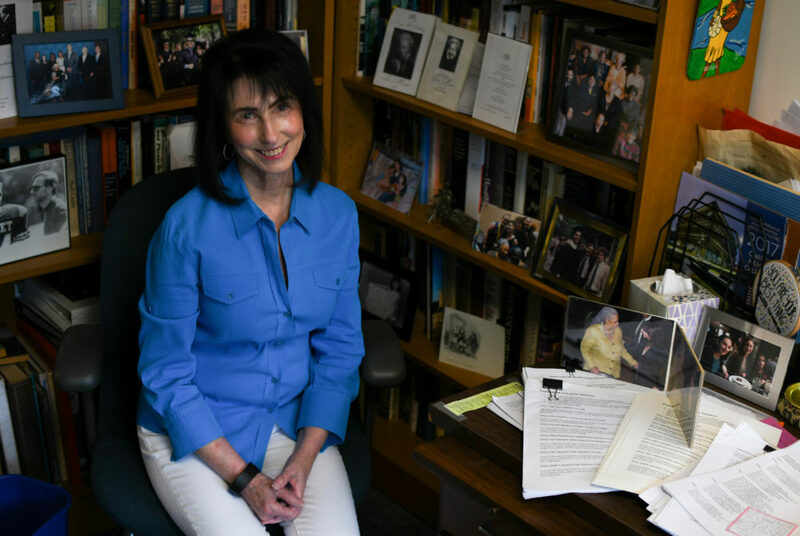 Evelyn Schreiber, an English professor, teaches the What’s New About New Plays? seminar, in which students have the opportunity to attend shows that premiere during the semester in the D.C. area at venues like the Round House Theatre and Wooly Mammoth Theatre.